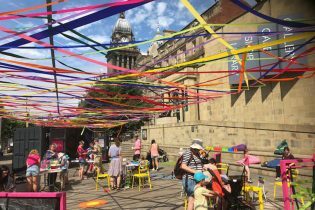 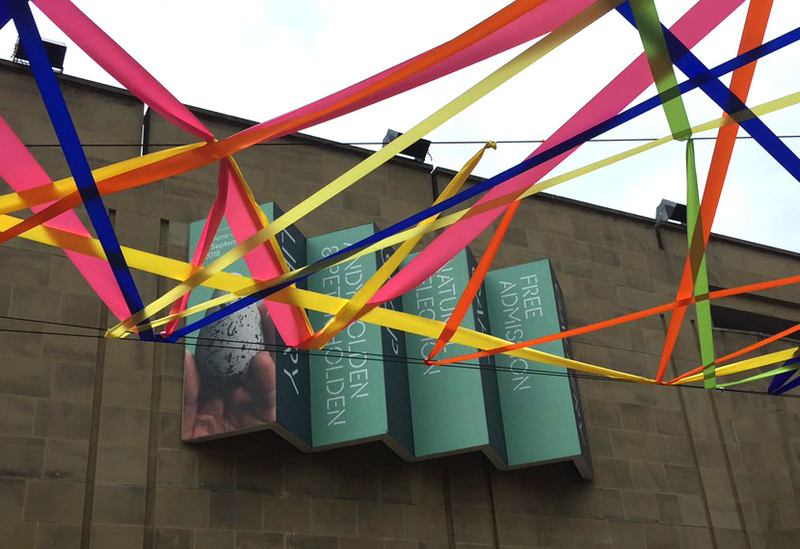 This two-week summer activation was designed to draw people to an under-used public space in Leeds and encourage them to have some fun. 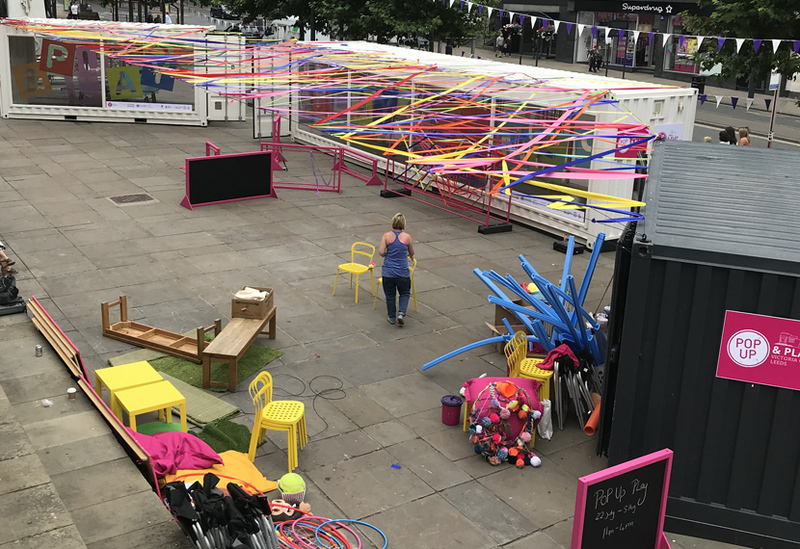 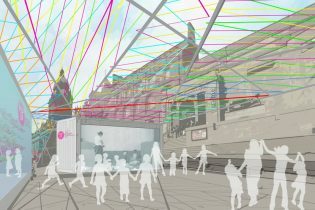 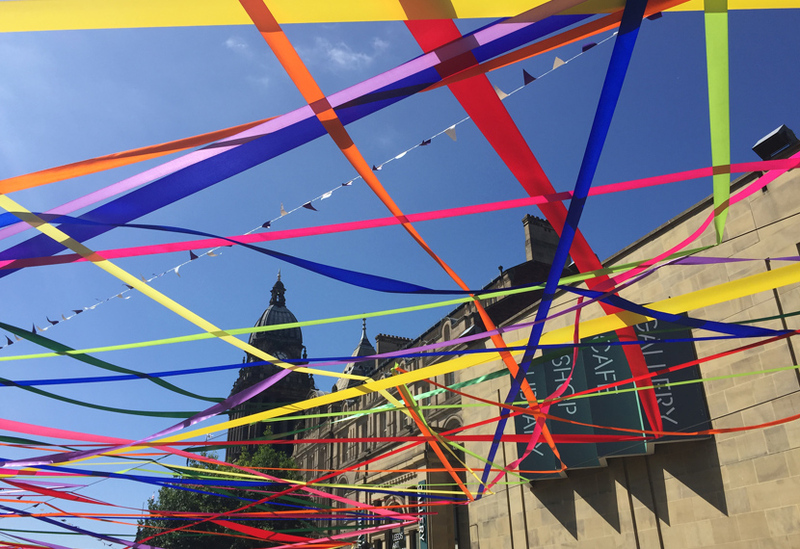 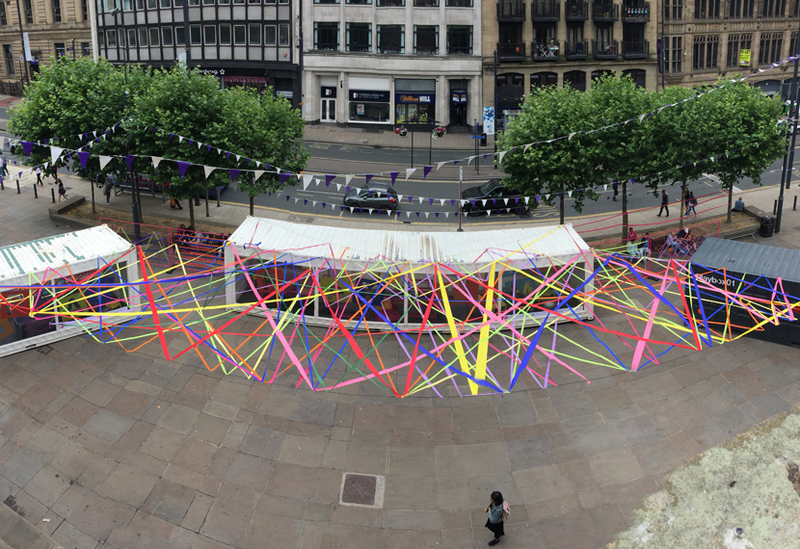 We collaborated with Leeds City Council, Leeds Art Gallery and DLA Design on last year’s Park Here and Play and were keen to be involved again this year, providing our experience and practical expertise to help bring the square to life. 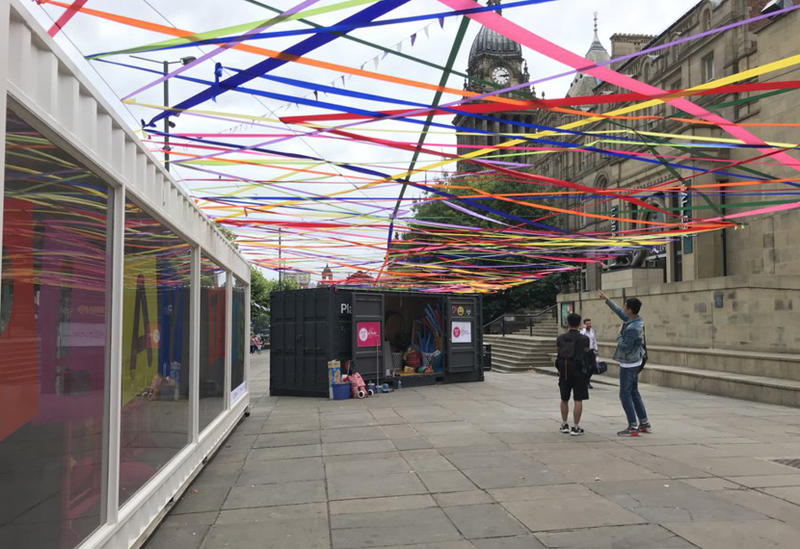 Leeds Bid provided two container rooms and charity Playbox provided another, full to the brim with play equipment and games. 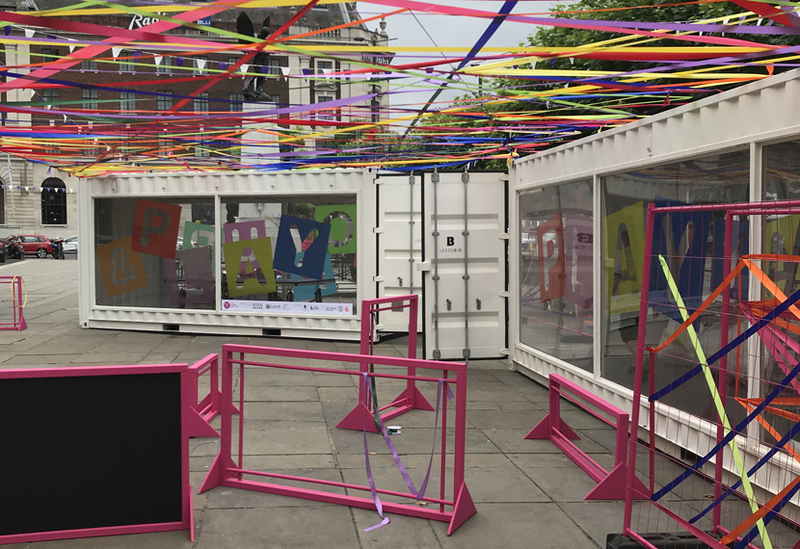 We levelled and fixed the containers and applied fascia along the bottom. 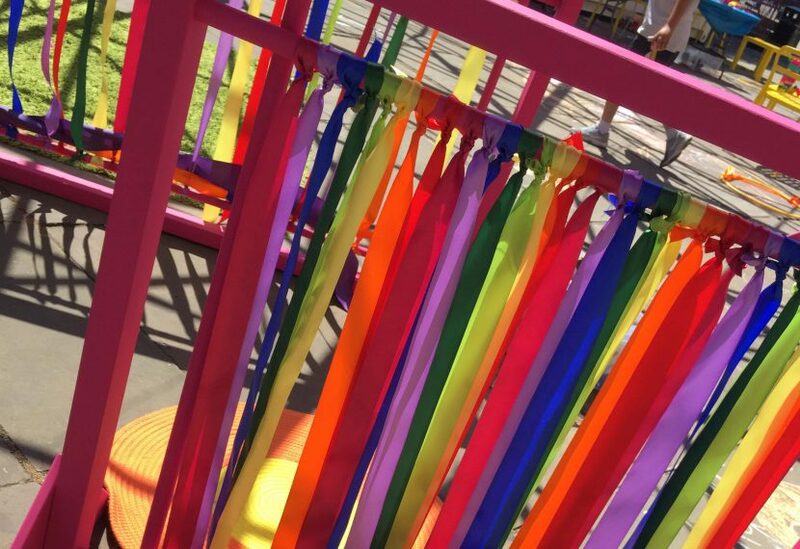 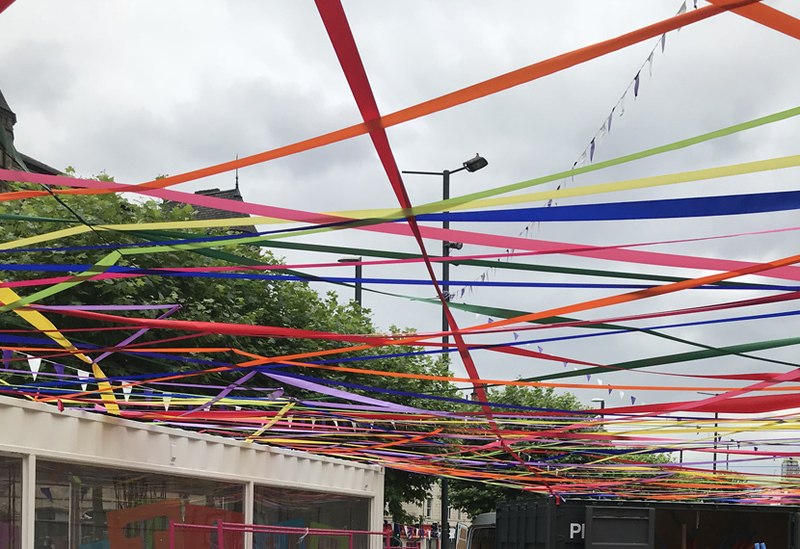 To create a vibrant and eye-catching environment, we drew inspiration from the criss-crossed tape of 2015’s Serpentine Pavilion, using 3km of brightly coloured ribbon woven around a 4mm wire rope framework to form a ‘canopy’ over the entire outdoor play space. 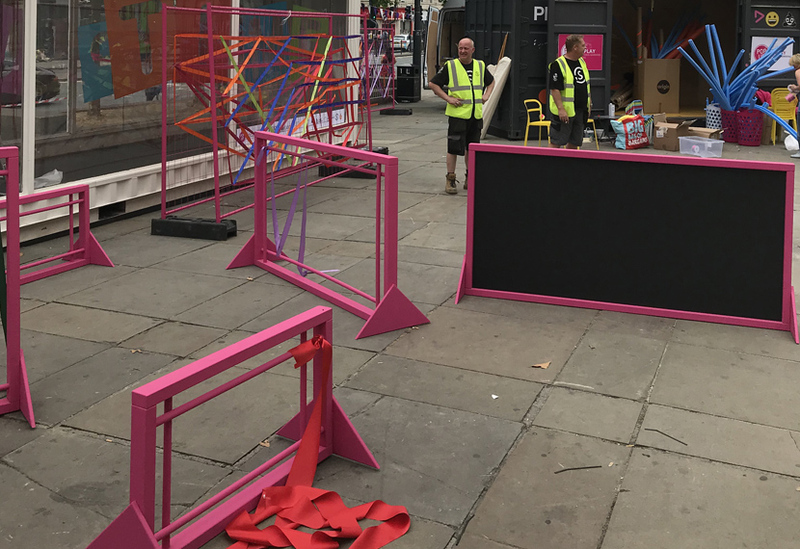 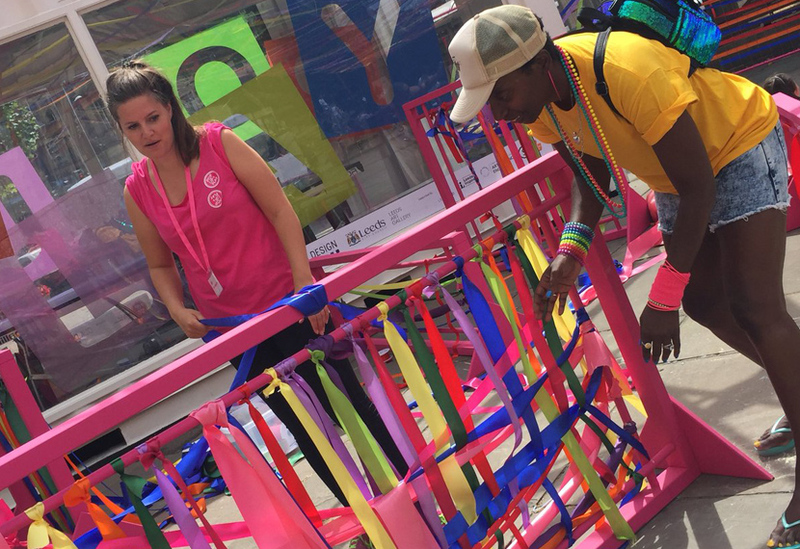 In addition, we made two pink framed blackboards and some pink free-standing weaving frames, which together with the many lengths of leftover ribbon, created an additional play activity. 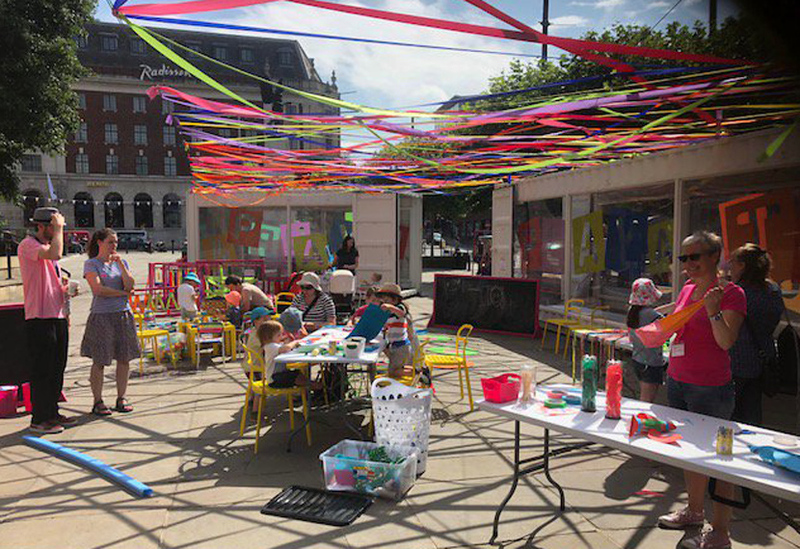 In the spirit of recycling, some of our packaging materials from site were commandeered for use in creative craft activities.